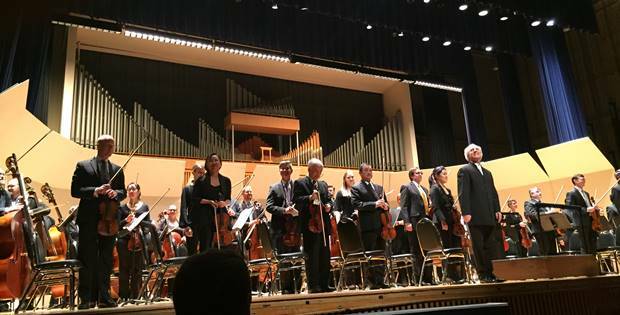 PSO musicians perform many places in addition to Heinz Hall. 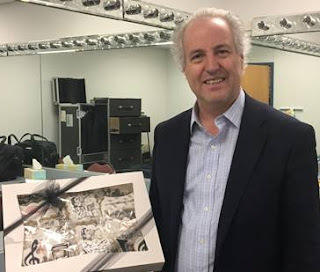 There were four performances of the Peer Gynt program led by Manfred Honeck together with Julian Rachlin, including the PSO's second performance this season as part of the Westminster College Celebrity Series. 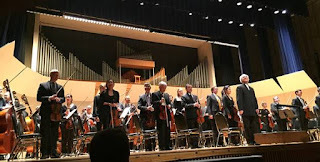 Julian Rachlin and Manfred Honeck also engaged in a variety of activities across the week-- both gave masterclasses with the Pittsburgh Youth Symphony Orchestra, Julian spoke to the Friends of the PSO, and Manfred spoke at a meet and greet post-concert at Westminster College. 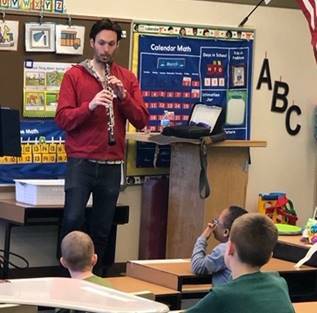 In preparation for the Sensory Friendly Concert on March 30 Max Blair, assistant principal oboe, and Penny Brill, viola, traveled to Sunrise School as part of the PSO’s Music & Wellness program. Sunrise School provides special education services for students age 5- to 21- years old. 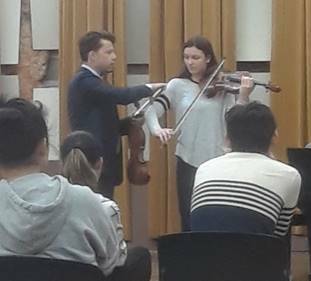 The session included interactive instrument demonstrations and performances of songs requested by students. 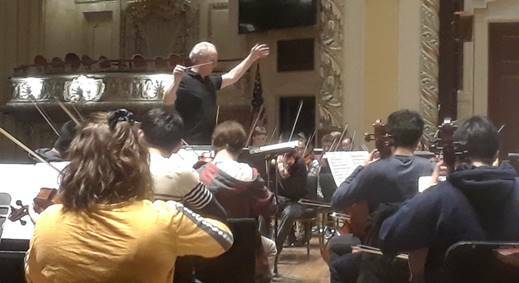 Pre-concert activities for Saturday's concert, Disney in Concert: Tale as Old as Time, included multi-modal experiences led by staff from Pittsburgh Ballet Theatre, Children’s Museum of Pittsburgh, and the Music Therapy Department at UPMC Children’s Hospital. 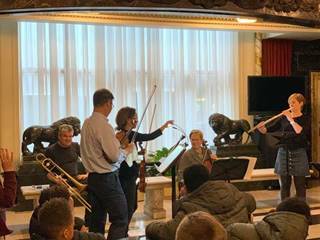 Wesley Family Services provided complimentary fidgets for all guests, and UPMC Department of Audiology and the Center for Hearing & Deaf Services shared information about hearing health and distribute earplugs. Also Coach & Play sessions continued with visits to Jefferson Middle School and Mellon Middle School in Mount Lebanon, Pittsburgh Manchester PreK-8, Pittsburgh Sunnyside PreK-8, North Hills High School, Montour High School, and Chartiers Valley High School. 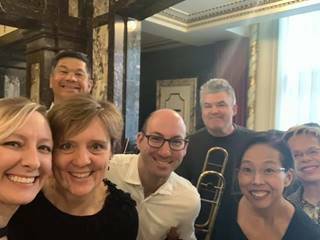 PSO musicians who participated with thoughtful, nuanced coaching of these young instrumentalists: Kristina Yoder, Violin; Irene Cheng, Violin; Penny Brill, Viola; Marylène Gingras-Rou, Viola; Adam Liu, Assistant Principal Cello; Ali Thompson Lee, Cello; and Max Blair, Associate Principal Oboe. And sometimes a snow day cancels 200 disappointed 6th grade Woodland Hills School District students’ trip to Heinz Hall to see the Pittsburgh Symphony Orchestra. Superhero-piccolo-player Rhian Kenny, arranged for a tour and chamber music performance! 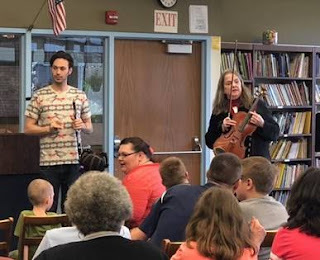 Many thanks to Chris Wu, Susanne Park, Andrew Wickesberg, Anne Martindale Williams, Pete Sullivan, Rhian, and of course, Woodland Hills School District Music teacher, Katie Miller, for inspiring our young people!